God and Father is a name that expresses the place of the Father in the Trinity. Jesus (Yeshua‘) will one day hand the kingdom to Him. Often the phrase is part of a longer name that tells of the relationship between Jesus and His Father, like the God and Father of our Lord Jesus Christ. But He is also the God and Father of all (Eph. 4:6), and our own God and Father. In the end, Jesus will deliver the kingdom to the God and Father (1 Cor. 15:24). Bible references: 1 Cor. 15:24; Gal.1:4; Phil. 4:20; 1 Thess. 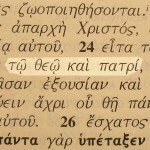 1:3; 3:11, 13; James 1:27; Rev. 1:6. Few Old Testament names of God include the word Father. Similar New Testament names for God are God the Father and God our father. 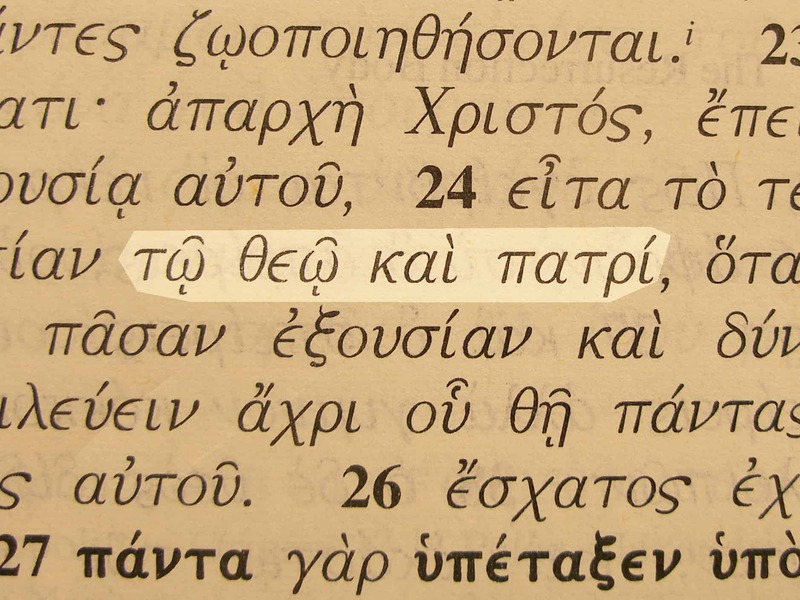 There are several other Greek names that speak of God as Father.